Readers of this blog are likely well aware of the proliferation of knockoffs produced in countries that lack robust anti-counterfeiting laws or enforcement procedures (or both) and making their way to consumers worldwide, but may not be aware of how the counterfeit process actually works. The New York Times gives us the inside scoop into life in Putian, China, one of the most notorious of global locations for counterfeiting. In fact, it has built its economy on producing and selling counterfeit goods, especially footwear. Initially, shoe manufacturing facilities were built in clusters in Putian. They secured manufacturing contracts with major footwear brands, including Nike, Adidas, Puma and Reebok. Other manufacturing facilities saw the immense demand for products from such globally-recognized and trusted brands. They used bribery, even espionage tactics, to acquire official product samples from the authorized manufacturers, then deconstructed the samples, created nearly identical molds and manufacturing tools, and began churning out fairly high quality fakes at low prices. 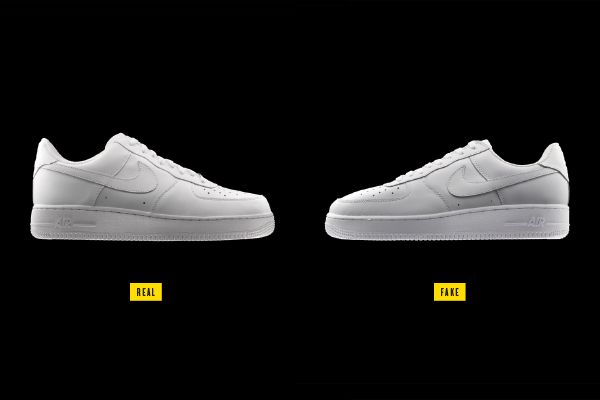 Retailers around the world purchased the fakes, perhaps some unknowingly, but many knowingly. These days, as brand owners have taken steps to quell the flow of counterfeits from unauthorized manufacturers to retailers and consumers, they have required their authorized manufacturers to improve security measures. Instead of bribery and espionage, the “fakers” merely buy the real product in-store for use in their manufacturing process. Putian’s counterfeit-sneaker industry operates in the open. Just type “Putian Nike” into any Internet search engine, and hundreds of results immediately turn up, directing you to Putian-based Web sites selling fake shoes. (Putian’s counterfeit-sneaker business has become so renowned that Alibaba.com, an online marketplace, offers a page warning buyers to exercise caution when dealing with suppliers from Putian.) “People who make the product and sell the product are no longer secret,” says Harley Lewin, an intellectual-property lawyer at the firm McCarter & English. “Where sellers in the past were unwilling to disclose who they were, these days it’s a piece of cake” to find them. Student Street in downtown Putian is a leafy, two-lane road lined with stores stocked with nothing but fake tennis shoes. I spent an afternoon browsing their wares. Like the products inside, the stores varied in quality. One resembled an Urban Outfitters — exposed brick and ductwork, sunlight beaming through a windowed facade, down-tempo electronica playing in the background — but the majority of the stores appeared to value enterprise over aesthetics, with storefronts made of metal shutters left ajar to indicate they were open for business. I ducked into one and discovered a single room with two opposing walls covered in sneakers shrink-wrapped in clear plastic: Air Jordans, the latest LeBron James models, Vibram FiveFingers and more. It was like a Foot Locker for fakes. In a sense, the salesman is right. 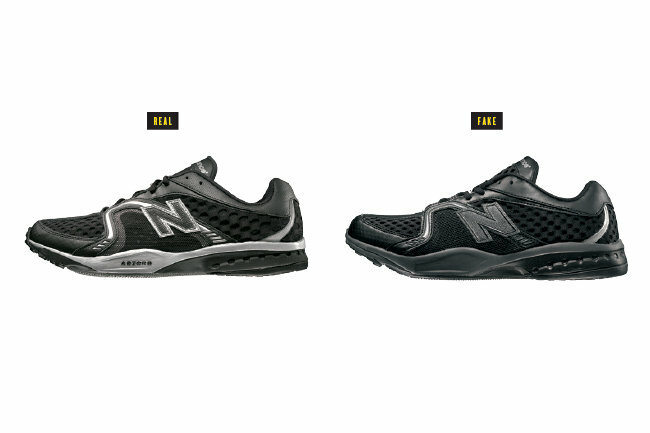 The products are nearly indistinguishable from the original products on which they are modeled. They may as well be products made by the authorized manufacturer and sold out of the warehouse’s back door, for all the difference customers can tell. But regardless of a consumer’s ability to distinguish them from the real thing, the counterfeit products hurt the brands they imitate and support criminal activities around the world. But how do you stop the flow of counterfeit goods in a place where officials disagree on what constitutes counterfeiting? In China, there are frequent disputes about whether certain counterfeits are truly illegal infringements or acceptable “shanzhai” imitations that are pride-worthy. Shanzhai, which literally means “mountain stronghold,” traditionally referred to strongholds of bandits far from official control. It later became applied as a slang descriptor for factories that manufactured low-end unbranded products. Those “shanzhai factories” found success by tinkering with popular branded designs to create shanzhai products – imitations, or counterfeits, as the case may be. Liu Binjie, of the National Copyright Administration in China, explained to the New York Times, “Shanzhai shows the cultural creativity of the common people. It fits a market need, and people like it. We have to guide shanzhai culture and regulate it.” Despite the shanzhai culture, China does have intellectual property laws and enforcement procedures. However, enforcement methods only work when the enforcement agents have clear directives as to what activity is illegal and how much authority they have to investigate and stop the illegal activity. In many instances, agents overlook counterfeiting by labeling the counterfeit activities as shanzhai manufacturing. With such significant levels of counterfeit production, what can be done? With the economy in a slump, government enforcement resources are limited. Brands may have to take matters into their own hands, perhaps by focusing on education. Only by educating employees, retailers and consumers can such companies hope to stem the massive tide of counterfeit goods. At a conference this Spring, a well-known intellectual property lawyer recounted a meeting between the chief lawyers for two famous luxury brands. The general counsel of Brand 1 complained that the Brand 2 briefcase he purchased was falling apart at the seams after only a short period of use. Brand 2’s general counsel inspected the item and recognized it as a fake. It turned out that an ill-intentioned shopper purchased a counterfeit briefcase that looked very nearly identical to the real branded product, brought it into the Brand Store, and exchanged it for a new, authentic item. Brand 2, as we were told, underwent a significant investment in educating all of its employees – from the CEO to the shop clerks and assistants – on how to recognize the most minute differences between the authentic Brand product and the high quality counterfeit products that persist in the market today. What about legal measures? Enforcing current anti-counterfeit laws against the distributors and sellers of fake goods isn’t working; the manufacturing and selling of counterfeit goods continue unabated. ‘“You’re not going to arrest your way out of this,” Bob Barchiesi, president of the International Anticounterfeiting Coalition, told [Nicholas Schmidle of the New York Times] in a despairing tone this past spring. As long as there is a demand, he insisted, there will be supply.’ Would criminalizing the purchasing of counterfeit products lead to higher success in stemming the tide of such product sales? Earlier this week, blogger Jeremy posted this item on IPKat about whether fake goods hurt or benefit the consumer market. His piece makes brief note that certain countries criminalize the purchase, in addition to the sale, of fake goods. Consumers might not purchase counterfeit products in such massive quantities as they do today if they risked heavy fines (after all, why pay a high government fine when you can spend the money buying the genuine article? ), not to mention the embarrassment of getting caught purchasing a fake to pass off as the real thing. Perhaps overhauling enforcement systems to include purchases of counterfeit goods would be the most effective, but from the brand point-of-view, I think education is key. It is within a brand’s means to teach its employees, distributors, retailers and consumers about the features that make its products authentic. 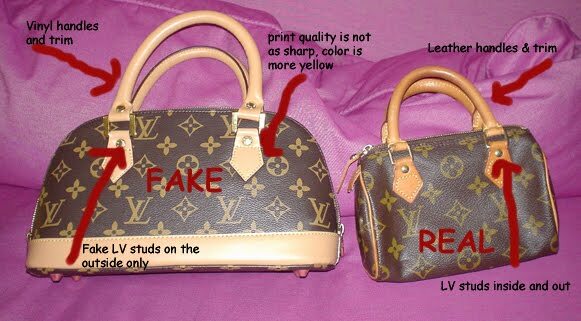 Consumers who buy fake goods often do so hoping that people around them will mistake the fake for the real thing. There is little “payoff” then, if those around them can spot the knockoff. Yesterday, WTR published somewhat of a response to the report you and the IPKat mentioned this week. Yet again there's been some bad mainstream media reporting going on. The best way to maintain the integrity of the brand is to provide better quality than the "copies". If that's not the case and the quality of original and imitation becomes equivalent, then: what's the benefit to the public in allowing one manufacturer to have a monopoly and recieve a premium that doesn't reflect the value of his product? Kharol, the problem with your view is that it doesn't take into account the fact that it is becoming easier and easier to reproduce exact copies - thanks to technological advances. In some cases the entity producing the original will also be producing knock-offs. The producer of illicit copies gains an advantage in that they can charge a premium for the item, without making the investment in brand development. So, in an odd kind of way it tends to encourage copying rather than producing competition to develop variety in the market - which would not be a benefit to consumers. Additionally, although the notion of trade mark is to show origin, and thus ensure quality, it is probably more important for consumers to be able to show their labels. They aren't that interested in the quality aspect, only that the label shows how affluent/hip they are. However, they should be able to protect themselves against buying items that are not authentic.